He’s no dud….Steve’s a stud. 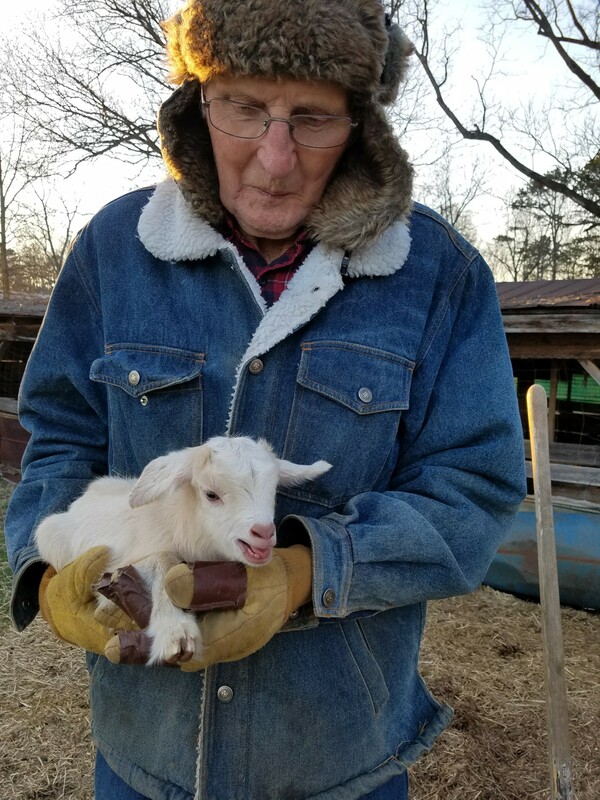 Remember back in October when Jim and I picked up Steve the Goat for Daddy? Well, we wondered whether or not Steve was going to be good sire material. Last month, Daddy admitted that he wondered if Steve was a dud. We feared that Steve had been pushed to the friend-zone of the goat-mating world. Well, the wait is over. 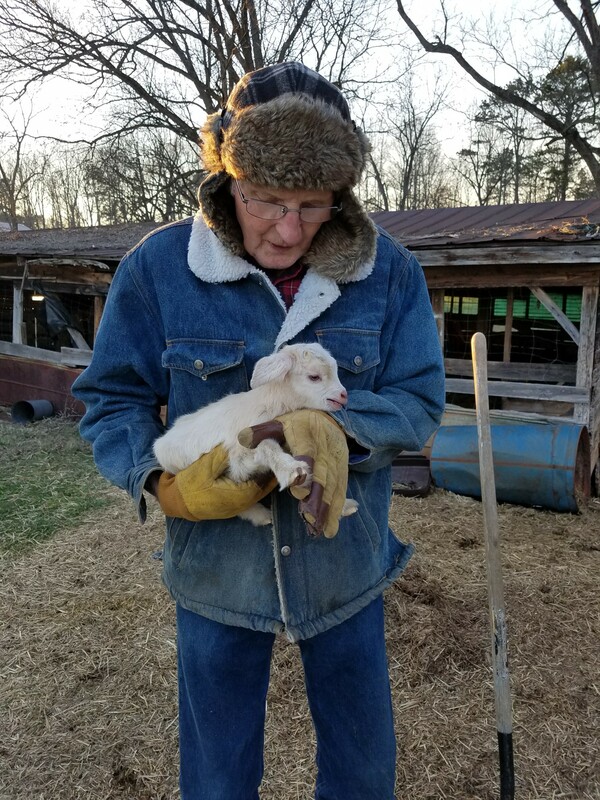 Just over 5 months have passed, and the first new pygmy goat was born today. 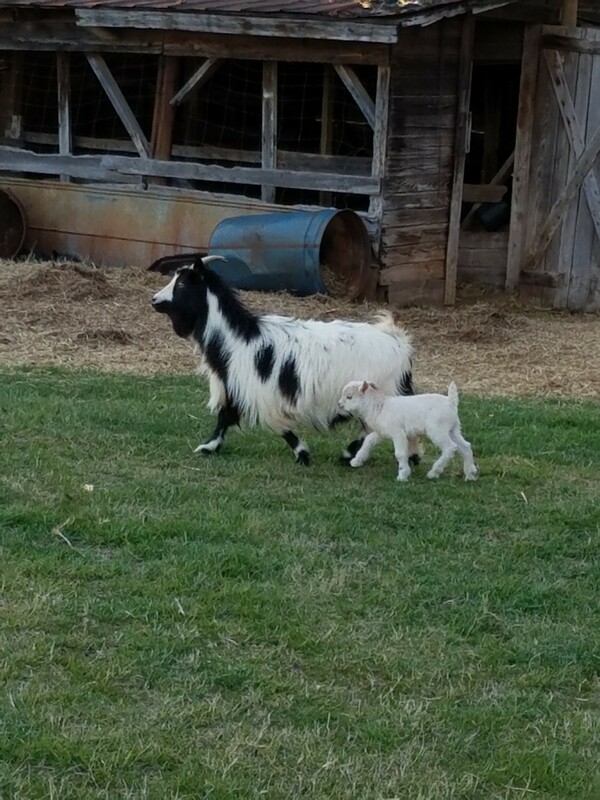 A sweet little nanny, mostly white with buff highlights walked alongside her long-haired mother in the pasture at Daddy’s. At first, we thought that maybe a few of Daddy’s nannies were pregnant. With goat gestation around 150 days, many times they do not show signs of pregnancy until around 4 months. Today, I confirmed that all of the remaining 9 goats are pregnant and due within a few weeks. No, Daddy doesn’t name his goats after celebrity-figures like I do. He names them “Spot”, “Buck” or “Number 3”. His are mostly white and black angora mixed la mancha pygmy goats. They’re smaller goats and of course I held the first of many more to arrive. Yes, in our pasture, Betty White is still pregnant.